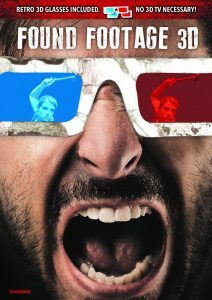 The smart and hilarious Found Footage 3D is finally heading to DVD and Blu-Ray this 4th September, so you’ll be able to re-live the whacky events that occur when a group of film-makers try to make the first 3D found footage horror film. It’s a lot of fun and expectedly meta, certainly worth a watch if you’re a found footage fiend. Directed and written by Steven DeGennaro, the film was originally released in 2016 and starred Carter Roy, Alena von Stroheim, Chris O’Brien. Be sure to catch the film this September.